We’re beginning to answer questions with our Estheticians via video these days. You are welcome to submit yours on Facebook, Twitter or even email us for our next series! In this video we discuss basic skin care routines for 20’s, 30’s and more. We also discuss the IPL laser and that annoying lip hair! 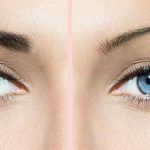 There’s also information about Dermaplaning…. check it out!